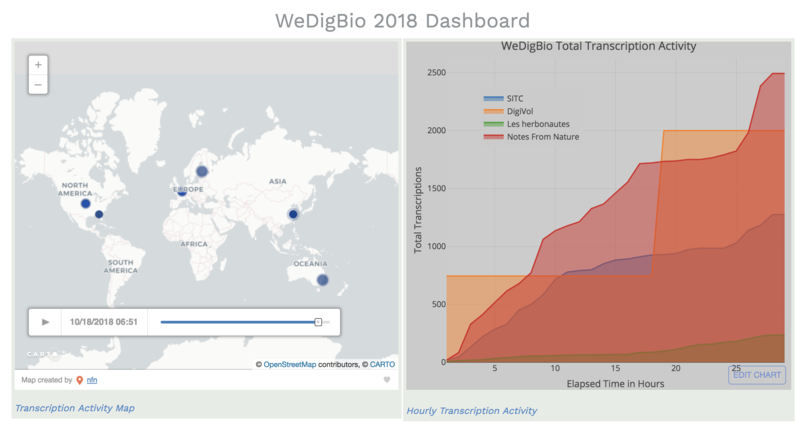 WeDigBio 2018 -- Here we go! WeDigBio 2018 is officially underway! 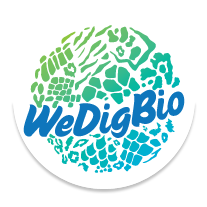 Welcome back WeDigBio veterans and thanks for joining us WeDigBio newbies! We’re so happy to be working alongside you to make natural history collections data more discoverable and usable for research, education, and policy. 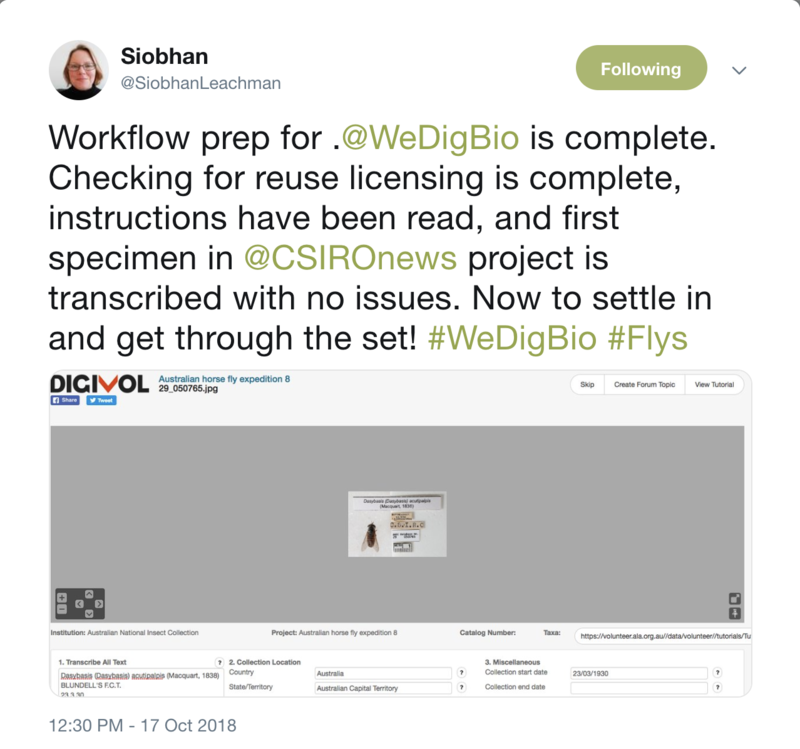 This is the fourth annual WeDigBio international transcription event and it began with some solid transcription tips for the Australian National Insect Collection’s DigiVol project on Australian house flies. 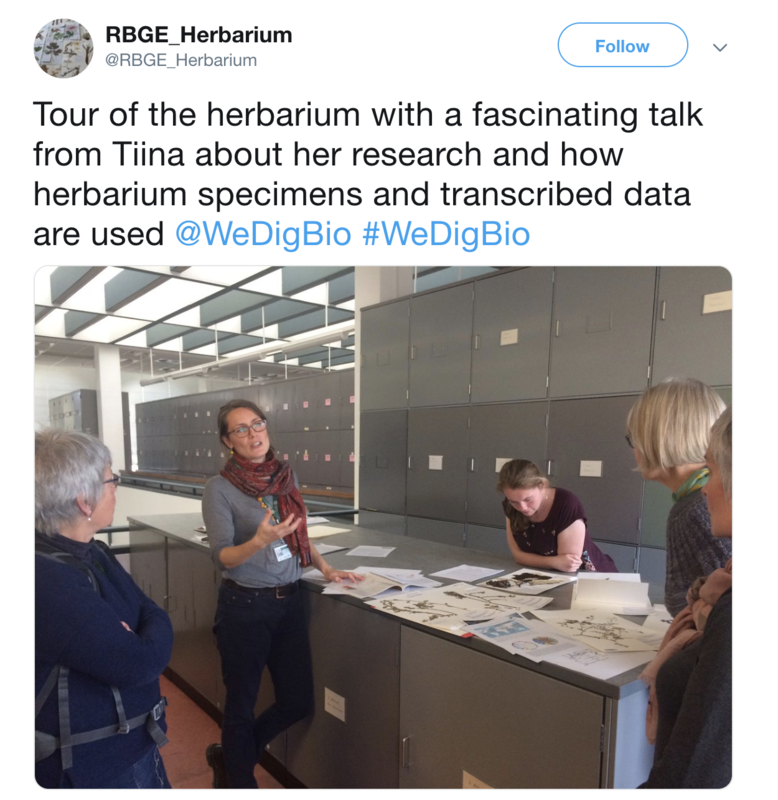 Before long, the activity moved to Europe with the Royal Botanic Garden Edinburgh Herbarium contributing to their DigiVol project on Australian legumes. Participants here were also treated to an herbarium tour (left). And while transcribing specimens from their Fungarium, participants at the Jodrell Laboratory in Richmond, UK found a specimen that had once been growing in the House of Commons (right)! 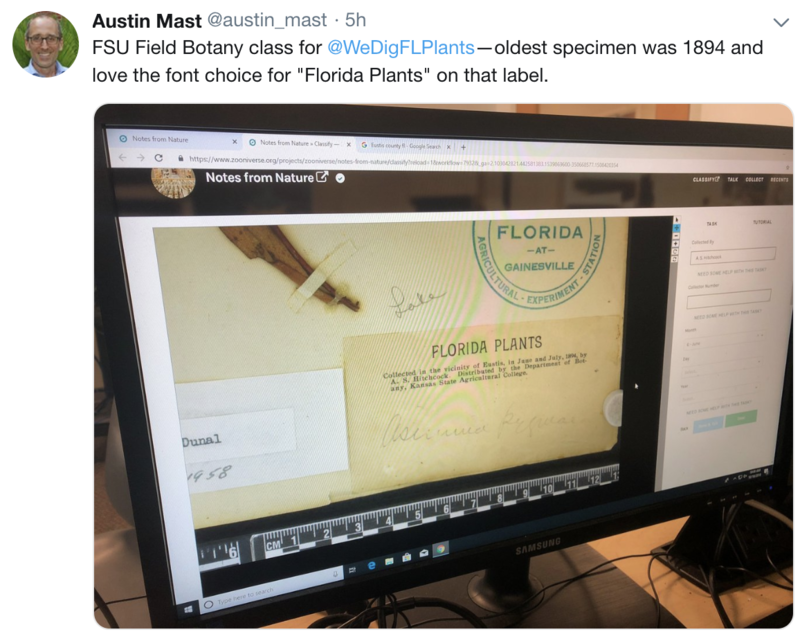 The United States joined in the fun with Florida State University’s Field Botany class and later in the day a team event with WeDigFLPlants. What's the oldest specimen you've come across? Can you beat 1894? Events also took place with The University of Tennessee, Knoxville Field Botany class and the T.M. Springer Herbarium in Pittsburgh, Kansas. 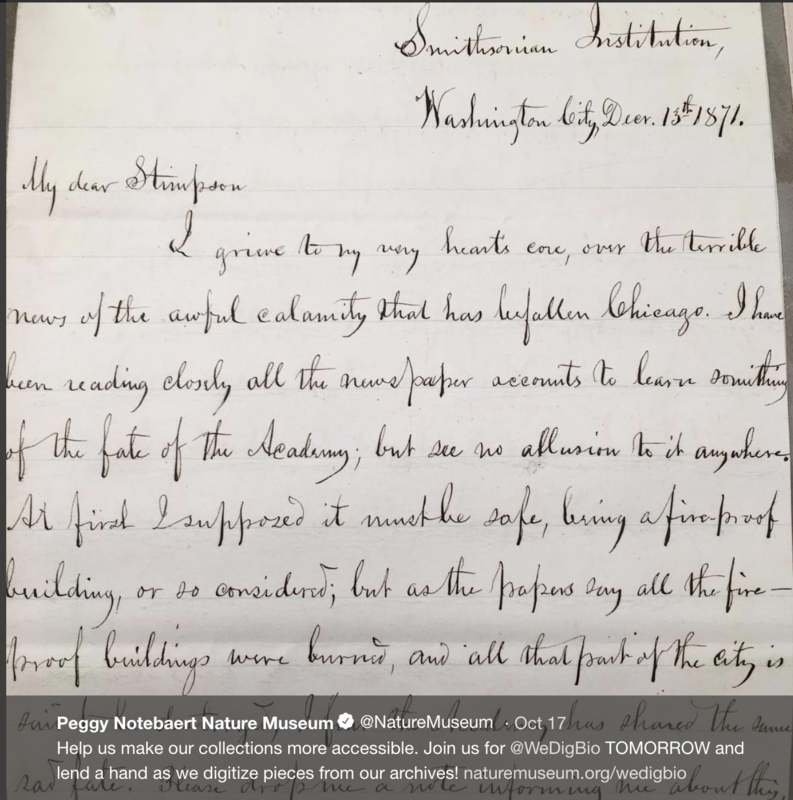 Participants at the Peggy Notebaert Nature Museum in Chicago were planning on transcribing treasures from their archives, like these documents detailing the Chicago Fire. It's not too late to find an onsite event near you! 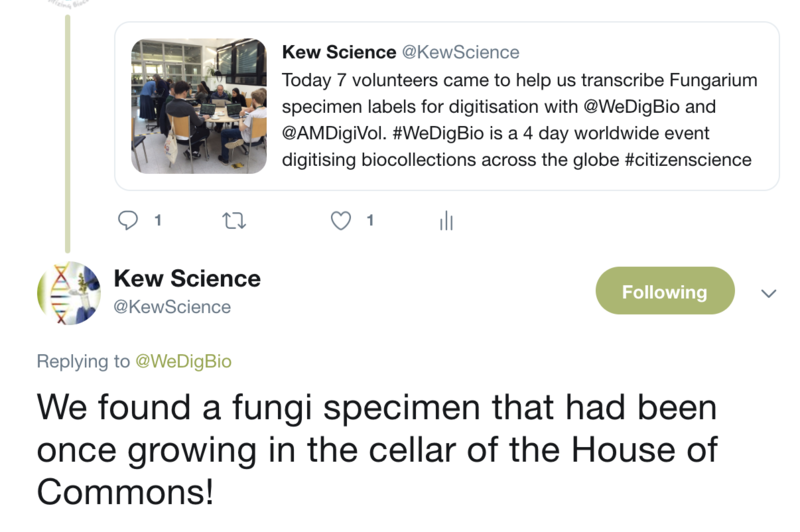 As always, tag your social media posts with #WeDigBio and follow transcription progress on the dashboard on our home page. This snapshot from the middle of Day 1 shows a healthy smattering of activity around the globe and across platforms! Thanks everyone for a fantastic start to year 4!